Shoppers Drug Mart Millionaire Contest is back! 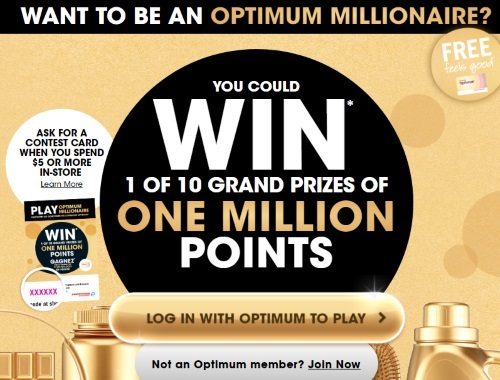 Enter to win 1 of 10 grand prizes of a million Optimum Points! Ask for a contest card when you spend $5 or more in-store. Contest closes July 2, 2017. Cards will be chosen out in-store until July 1, 2017 or while quantities last.